Cast bronze, fused glass, ceramics, textiles, wood, and other media take shape in Orosco’s art that speaks of his social, political, and cultural “anxieties,” as he calls them. He often addresses issues of ethnicity, economic disparity, social conflict, political protest, and cultural displacement, in an eclectic mix of genres. Now mainly a sculptor and installation artist, he also explores the idea of cultural borders—crossing, shifting, and blurring them. As a Mexican-American with Aztec, Mayan, and Native American in his bloodline, Orosco knows borders. Born and raised in Odessa, Texas, he saw early on how the human body here was viewed merely as a tool for oil industry profit. As a teen, he worked in his father’s diesel mechanic shop repairing oil trucks and cleaning field equipment. He built lowriders and drove around listening to grunge and hip hop. And he drew a lot, and not just to impress friends. When Orosco won a local poster design contest for a Hispanic heritage event, “it created a spark,” he says. By age 16, he knew art was it. A high school art course kept him from dropping out. And an art contest best of show award got him into college—the first in his family to earn a degree. He enrolled at the University of Texas of the Permian Basin (UTPB), thanks to encouragement from one of the judges, an art professor there. Chris Stanley ’91 MFA teaches at UTPB and he pointed Orosco northwestward. When Orosco graduated, he took Dollhausen’s place during the professor’s year-long sabbatical. Then, after three years teaching at Eastern Washington University, he resigned in 2006. “I didn’t want to get stuck. I wanted to live my life.” He returned to Odessa for the next two years, doing dirt construction. He also did land art, photography, and video art, while traveling abroad and throughout the West. He heard about a full-time job teaching sculpture at Mt. Hood Community College. By then, he had had several exhibits of his work, from Texas to Washington. 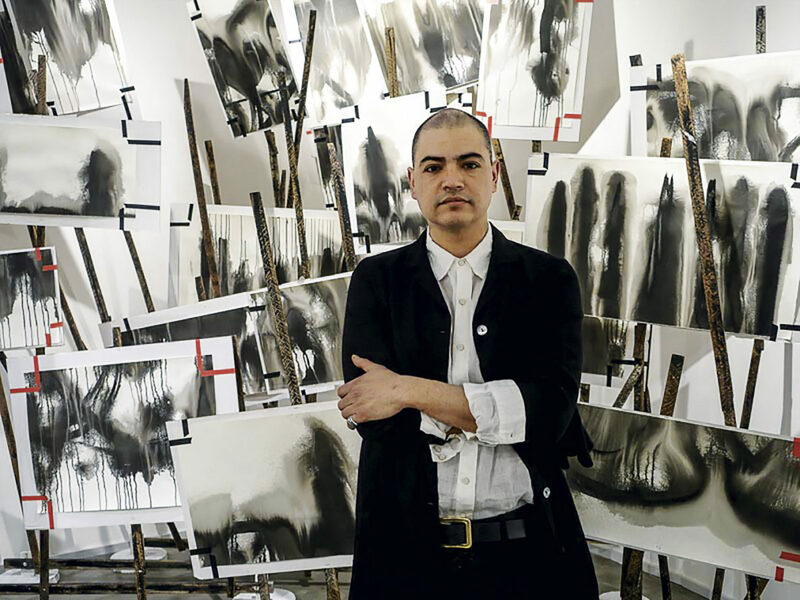 In recent years, he has shown at Blackfish Gallery and Ford Gallery in Portland. Like working with clay or playing guitar, for Orosco it’s also an art.